Upon your arrival in Costa Rica you will be greeted by your Costa Rica Extreme primary guide, a resident expert on all the flora and fauna of Costa Rica as well as the many activities that await you. Your guide will accompany you throughout your excursion, serving as Trip Leader, companion and facilitator. Your first night will be at a local colonial style hotel in the Central Valley. Available activities are dependent upon your arrival time. After an early morning breakfast at your hotel your activities begin in earnest as you embark on our signature excursion activity, white water rafting down the mighty Pacuare River. 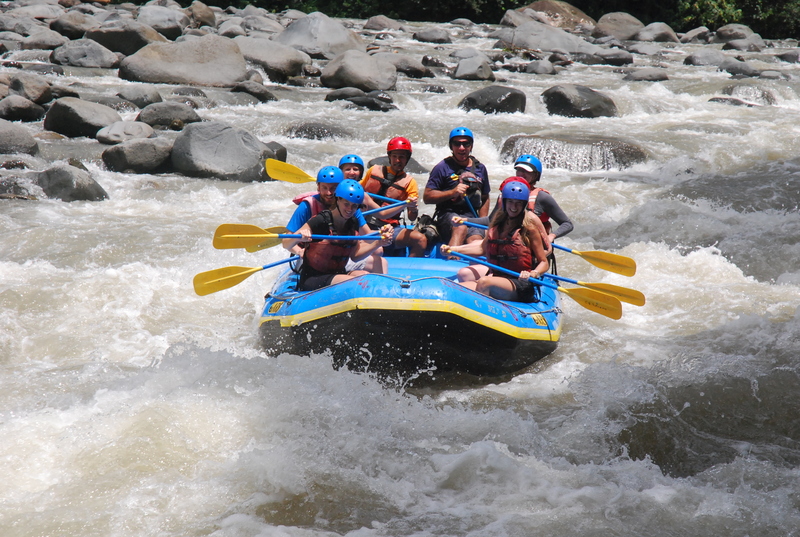 Long regarded as the most scenic and best white-water rafting river in Costa Rica, the Pacuare is also considered one of the top five rafting rivers in the world. After being properly outfitted with your safety equipment and paddle, you will be provided with comprehensive rafting and safety instruction by our world-class guides, the defending Costa Rican National White Water Champions. Once the team is ready, you will begin an exhilarating trek down the powerful and mystical Class II, III and IV rapids. 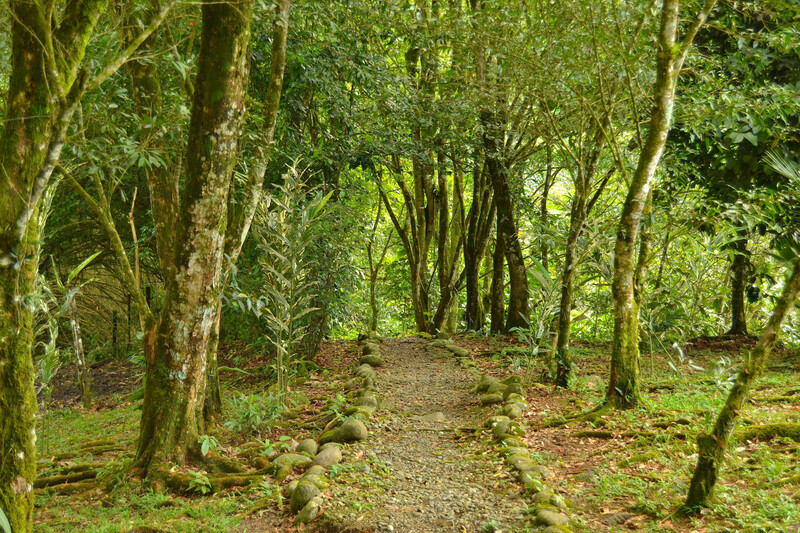 You will stop during the journey to hike to incredible cascading waterfalls and through dense jungle flora in the primary rain forest. After several hours of invigorating rafting, you will arrive at the Costa Rica Extreme Tent Camp (our private 85 acre reserve). Relax during happy hour with Hors d’Oeuvres and Guaro punch (native Costa Rican sugarcane rum blended with fresh tropical fruits) while your guides prepare a delicious dinner. Platform tents will serve as your home for the night as you fall asleep to the roar of the river and the endless songs of the jungle’s countless inhabitants. Awaking to the sweet sounds of toucans, hummingbirds and cicadas and the equally delightful smell of breakfast with robust Costa Rican coffee, you will be ready to explore the varied landscape and abundant animals of the Costa Rica Extreme private reserve before climbing back aboard your raft to continue the challenge of the potent Pacuare. Once back aboard the raft you will tackle some of the more beautiful and challenging stretches of the river with several invigorating Class III and IV rapids. Once out of the river our journey continues as we meander to Tortuguero National Park. Trading rafts for sea kayaks we glide silently as we explore the park with the greatest biological diversity in all of Costa Rica. Its eleven distinct habitats are home to howler, white-faced, capuchin and spider monkeys, tropical birds (of which 309 species have been identified here), sloths, jaguars, tapirs and an abundance of other exotic wildlife. The remainder of the day will be spent moderately kayaking (approximately four hours) towards the tropical and charmingly rustic lodge that will be our home for the night as well as our base of operations on this part of the excursion. Just after breakfast we engage in another full day of adventure, beginning with three hours of exploration of one of Tortuguero’s most beautiful canals. Lunch will be served back at the lodge after which we will spend the afternoon visiting the town of Tortuguero. 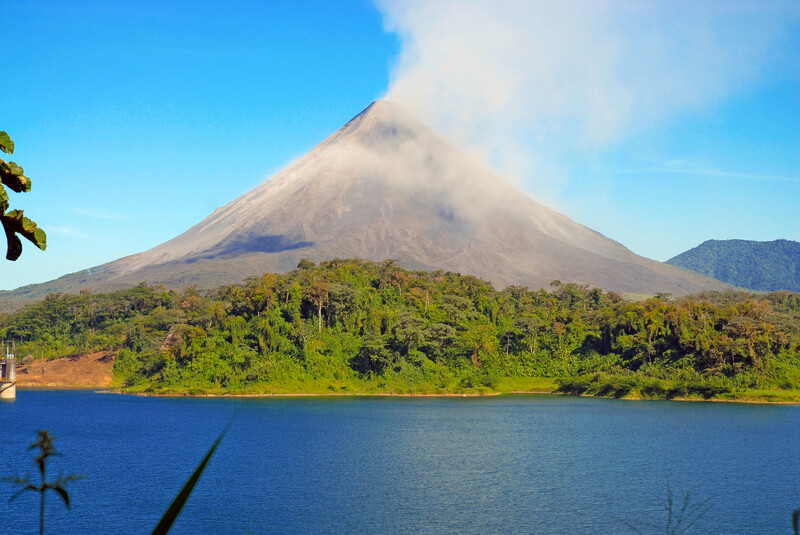 This morning we leave the Tortuguero area and head to the Arenal Region, home of the awe-inspiring Arenal Volcano, one of the 100 most active in the world. Our activities will include a hiking tour of the Arenal Volcano National Park where, weather permitting, you will be able to experience the looming giant from a very intimate perspective. Your afternoon will be free to relax and enjoy the numerous amenities at the lodge where we are staying the next 2 nights. After breakfast we will take a short drive to the town of La Fortuna where sure-footed horses await to carry us to the base platform for our canopy tour. Riding through coffee fields and papaya farms, we climb up into the primary rainforest, to the first of twelve platforms. Strapped into your rappelling harness, helmet on, clipped via pulley to a braided steel cable, 100 feet above the ground without a safety net, you lunge into the air. 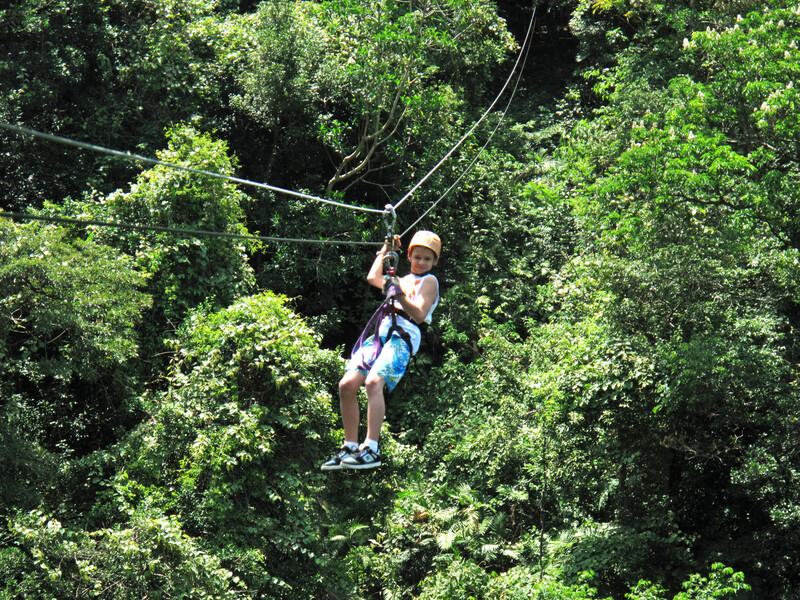 Sailing gracefully, you enjoy an exhilarating, birds-eye view of the forest below. Tree to tree, you fly effortlessly, slowing down only to appreciate the variety of animals that live high above the ground in the canopies of the rainforest. Exhausted after our thrilling zip-line adventure we will soak our weary bodies relaxing in the warmth of lava-fed hot springs in the shadow of the Arenal Volcano. 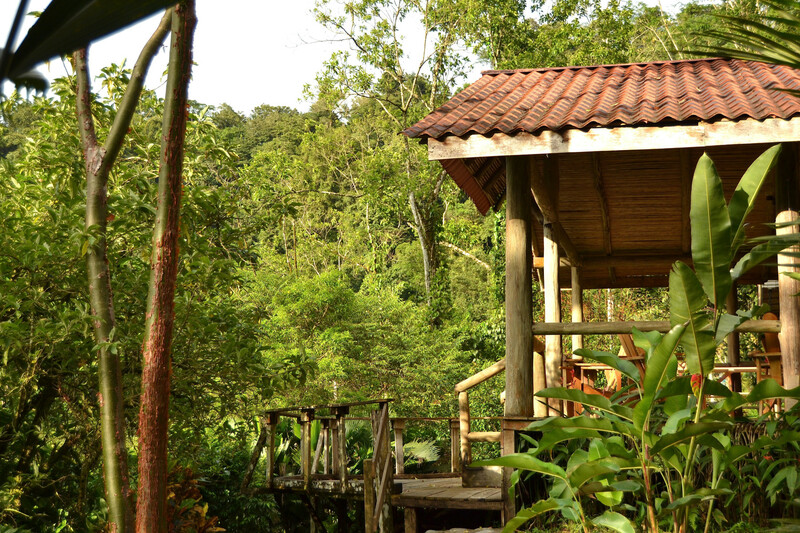 Costa Rica Extreme has exclusive use of beautiful, uncrowded hot springs. Thermal pools, steamy waterfalls and streams and a verdant landscape will enhance your escape as you melt away your day’s aches. Depending of your departure time you can enjoy the Hotel/Rancho facilities in the morning as you prepare for your flight back home. Rate: $1500 Per Person (USD). Double occupancy. Single occupancy surcharge $300.00. Rate does not include airfare to/from Costa Rica, airport departure taxes, personal equipment, personal expenses or optional activities.